The biggest influence on the stud to date Beau was purchased as a foal from the late Mrs Franklin. 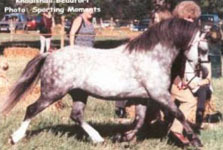 Very Successfully shown as a youngster and young stallion Beau was exported to Argentina before he reached senior stallion classes, however he has left his mark on the breed in the UK with a legacy of two Supreme Champion stud stallions, Amilas Stud's Norash Beasuon (ex Fronbach Cariad) and Mrs P Shepherds Vervale Grenade (ex Blanche Glimmer), some beautiful broodmares now making their influence felt in studs from Devon to Scotland, and performance ponies in all spheres from driving to lead rein showing, including Norash Beaugest supreme champion at West Midlands foal show and now winning under saddle for the Lamb family. Beau is living the life of Riley in Argentina with a huge herd of mares, and a vast space to run in. 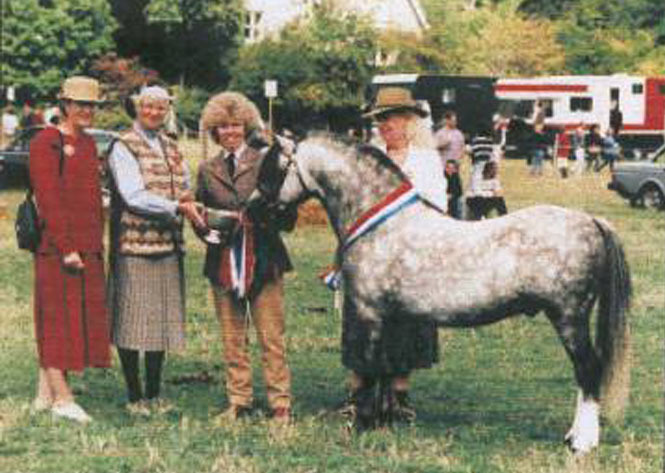 He is also ridden and has taken part in parades, a truly versatile mountain pony.